All the buzz lately surrounds super seeds and how they can help boost a nutritional and well balanced, well rounded diet. 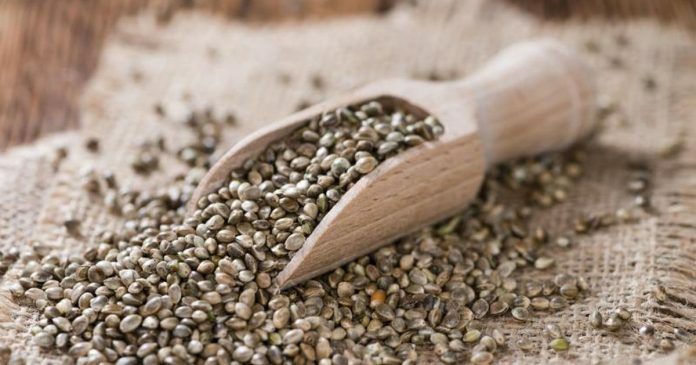 When it comes to seeds like hemp, chia, and flax, everyone wants to know what the difference is and which one might be better based on personal nutritional needs. When these super seeds were first introduced as a way to boost the everyday diet, flax seeds once stood as a lone ranger for diet boosting seeds. Now that Chia and hemp seeds have come forth, among a few other with their own super seedy, nutritional benefits, it’s easy to see what all the buzz is about. How do these “super seeds” stack up? However, if you demand more protein in your dietary regimen, then hemp seeds might actually be the best option for you, and if your diet demands more fiber, chia seeds seem to take the cake. Time.com has an interesting article on “The Truth About 6 “Super food” Seeds,” stating “’There is an obsession with healthy fats, protein and fiber—it’s like the trinity—and seeds have all three,’ says Dawn Jackson Blatner, a registered dietitian in Chicago, Illinois.” According to the article, one of the best things about the chia’s evolution from punch line to power food has finally earned the tiny seed some respect. The site says that it is packed with 10g of fiber and nearly 5g of protein per ounce! Chia seeds are said to hail from a plant in the mint family, and can absorb up to 10 times their weight in water. Hemp, as you may already know, is a variety of the cannabis plant. Although they won’t make you high, they will make your nutritional meter sky rocket and soar through the sunny blue skies. The site further supports that hemp does have more protein than the rest, about 10g per ounce to be exact, and they make the perfect replacement for animal protein if you are wanting to have a more plant based diet. An added bonus to hemp seeds is that each ounce contains three quarters of the daily recommended Vitamin E and nearly a third of the recommended zinc to boost your immune system. Regardless of whether your diet demands more protein or fiber, one thing is for certain, as your goal remains the same, to eat a more “plant based diet,” that includes these super seeds, you can’t possibly go wrong with any of these options. They all have substantial benefits that in the end, are just simply super.